I took these photos back in May, the week I received the products in the mail (for optimal photography, naturally – I like bottles full!). 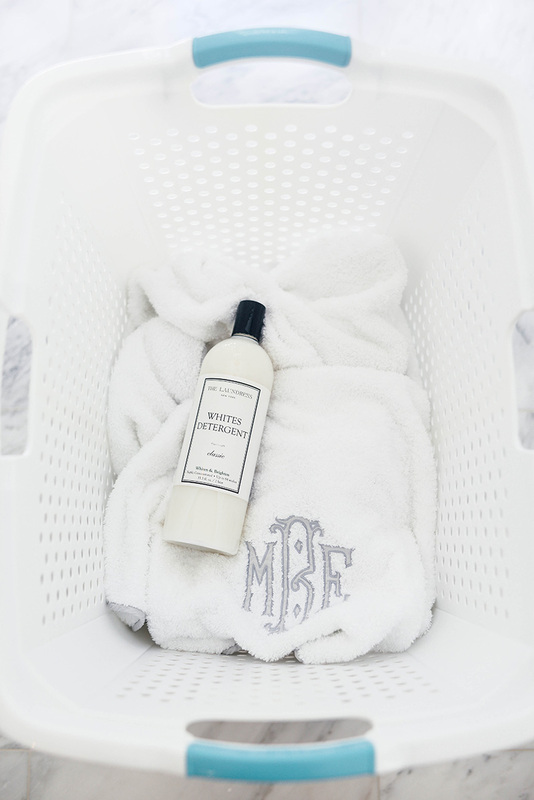 I have been using The Laundress products for myself for just over a month, and I have to tell you, I’m smitten! I first discovered the brand on two of my favorite online shops (NET-A-PORTER and Shopbop), and have been wanting to try them ever since. 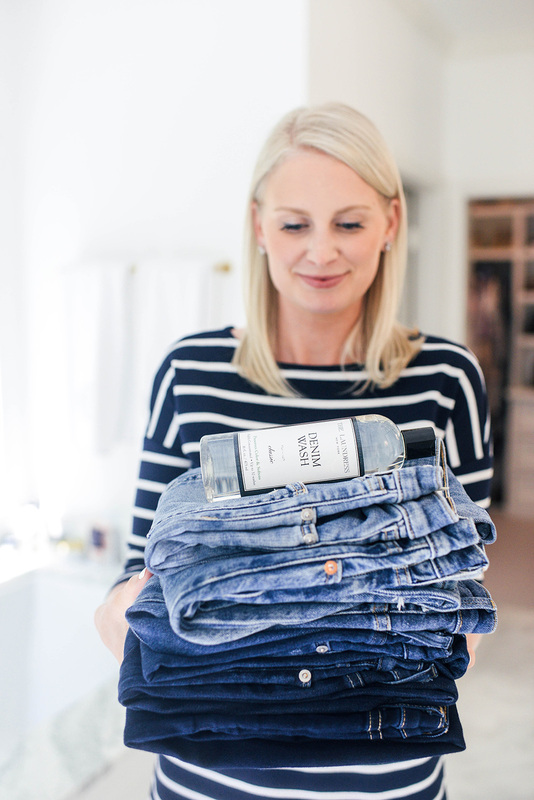 It’s the chic branding that caught my eye initially, but after doing a little sleuthing I found out they create cleaners and detergents to target specific laundry woes. For example, they have a Denim Wash that was crafted specifically to preserve color and soften the fabric so you can get more bang for your buck out of your jeans! I’ve personally had issues with jeans losing their color (and subsequently not wearing them anymore), so this detergent is probably my favorite of the bunch. The other product I’m head over heels for is the Le Labo Rose 31 Signature Detergent. 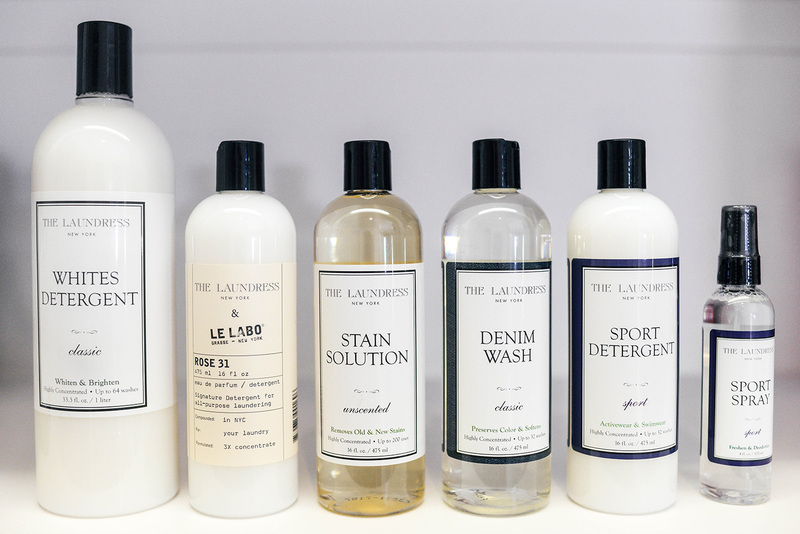 Rose 31 is one of my all time favorite scents, so when I discovered The Laundress had collaborated with Le Labo to create a special line of detergents you know I just had to have it. My laundry has truly never smelled better!!! It actually makes me excited to do laundry now. This Wool & Cashmere detergent will come in handy this fall/winter! 90% off the items you take to the dry cleaner can actually be cleaned at home, including those nice sweaters you’ve collected over the years. 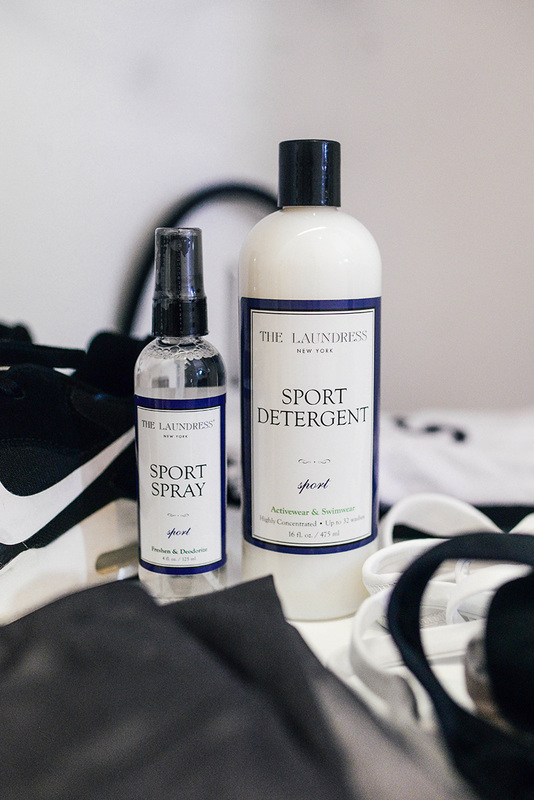 As someone who practically lives in Lululemon activewear, this Sport Detergent is perfect for keeping your favorite workout wear odor, stain and sweat-free. I desperately need to get this Crease Release spray before my next trip! It’s a great travel-size to take with you that will do exactly what the name says. It is soooo difficult to keep whites at their whitest! From sheets to white jeans, this Whites Detergent was specifically formulated to brighten up your whites and keep them fresh longer. If you have an issue with static in winter like I do, this spray is for you! They also have an amazing selection of home cleaning products like Glass & Mirror Cleaner, Surface Cleaner, Dish Detergent, Hand Soap and more. 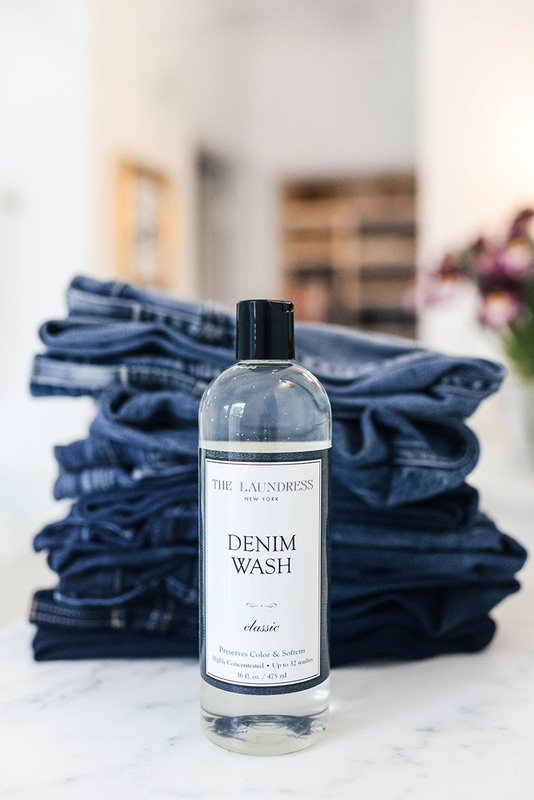 I urge you to give The Laundress a try and let me know what you think! Don’t forget to use my special promo code STYLESCRIBE at checkout before June 30th to get 25% off your order! I’ve been eyeing this laundry detergent brand for awhile now too. All because of the pretty packaging. But I really love that they have detergents for specific clothing items and fabrics. This is amazing! these look so fun! love the packaging! I just had to chime in and say that I LOVE Le Labo Rose 31, as well! I fell in love with it when we stayed at the Mission Inn in Sonoma. I now order their shampoo and conditioner on a regular basis. I didn’t even realize they had a detergent!